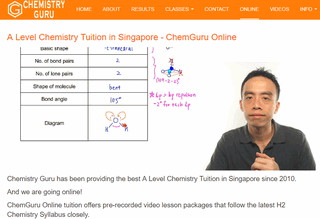 Learn JC Chemistry Anytime, Anywhere with ChemGuru Online! High quality video lessons with crystal clear sound. Save time and money with our online tuition!